Across the world, December 10th is celebrated as the World Human Rights Day commemorating the day when His Holiness the XIV Dalai Lama was awarded the Nobel Peace Prize in 1989. In Mumbai, Tibetan Sweater Sellers Association in association with Friends of Tibet organised a day's function at the Sharada Cinema Hall, Mumbai. Acclaimed Musician and Founder of Karadi Tales, Prof Narayan Parasuram was the Chief Guest for the function which was presided by Documentary Film-Maker Nidhi Tuli and Tibetan Poet and Activist Tenzin Tsundue. 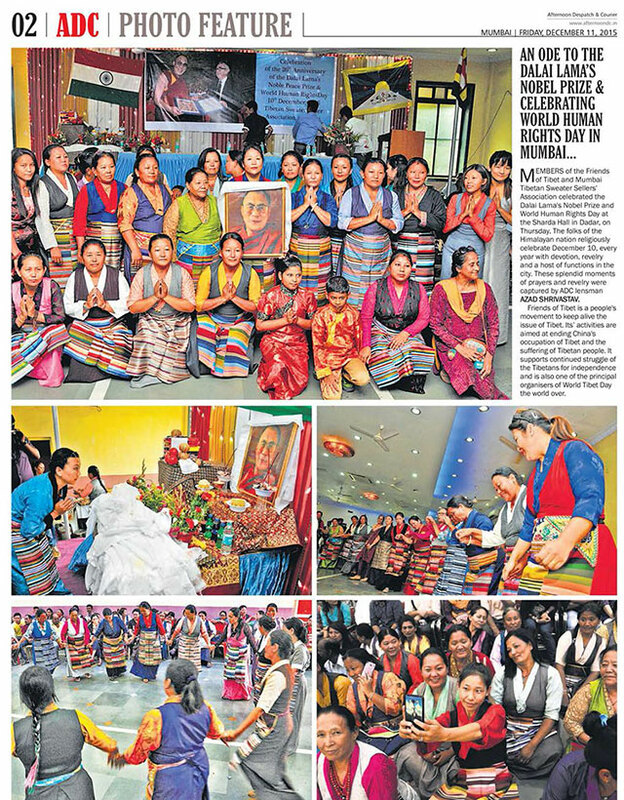 Over 100 Tibetans participated in the programme. This is the first World Human Rights Day programme conducted after the sad demise of SV Raju, Editor, Freedom First and founding member of the Swantantra Party, who used to be a strong supporter of the Tibetan Cause. Tenzin Tsundue remembered the contribution of SV Raju and a minute of silence was observed. Acclaimed Musician and Founder of Karadi Tales, Prof Narayan Parasuram inaugurates Human Rights Day 2015 events in Mumbai. 'A Sacred Life: His Holiness the Dalai Lama' audio-book is being released by HH the Dalai Lama in Mumbai. Shernaz Patel (Left) and Prof Narayan Parasuram (Right) next to the Dalai Lama. The members of the audience were welcomed by Tenzin Tsundue. In his welcome speech, Tenzin highlighted the current scenario of Tibet and the issues faced by people of the illegally occupied nation. 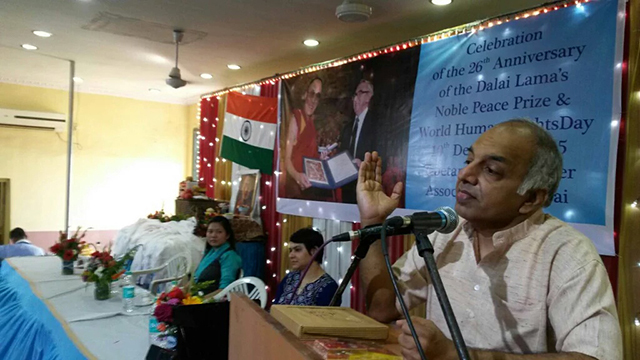 Prof Narayan Parasuram presented "A Sacred Life: His Holiness the Dalai Lama" audio-book on His Holiness the XIV Dalai Lama's life. The book was blessed by His Holiness the XIV Dalai Lama and would be next in the series of Charkha audiobooks wherein Karadi Tales produced audiobooks like Wings of Fire, My Experiments with Truth etc. 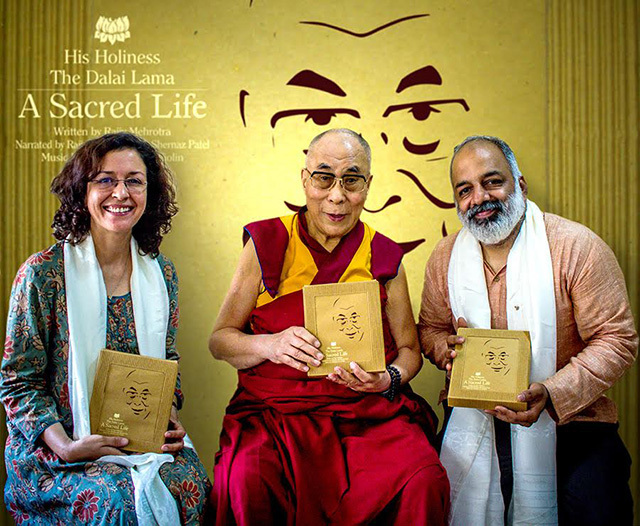 "A Sacred Life: His Holiness the Dalai Lama" audio-book narrated by Rajiv Mehrotra and Shernaz Patel traces the journey of this humble leader from the time he left his home as a child through his escape from Tibet to the winning of the Nobel Prize in 1989. This Charkha audiobook, with its divine soundtrack and narrative, reveals the compassion and optimism of this great emissary of peace. Tibetan Poet and Activist Tenzin Tsundue welcomes the gathering on Human Rights Day 2015 in Mumbai. 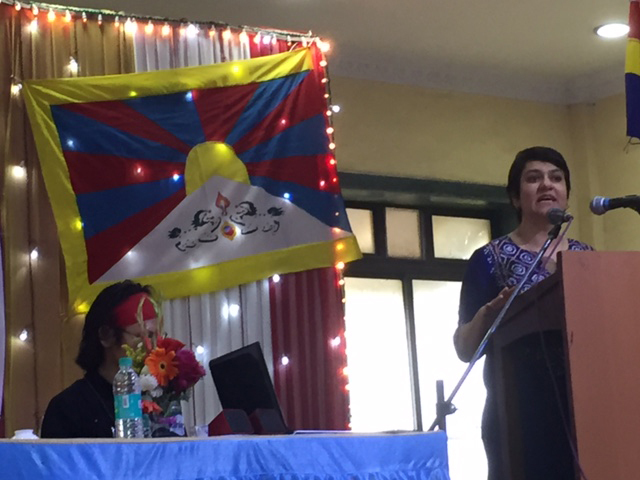 Nidhi Tuli who is at the moment working on post-production of her movie on Tibet, spoke the importance of Tibetan Culture and applauded the efforts taken by the members of the Tibetan community to retain their traditions and culture. She also shared details of her documentary on His Holiness The XIV Dalai Lama's life which is produced and directed by her for Epic TV. The members of the Tibetan Community enthralled the audience with Tibetan songs and dance performed. This was followed by Traditional Tibetan lunch.